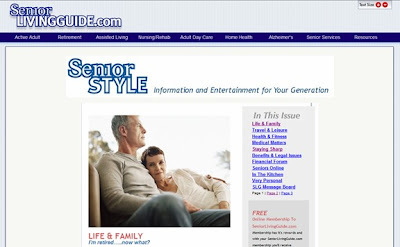 We are proud to announce our new online senior resource – SeniorStyle – Information and Entertainment for Your Generation. SeniorStyle is available by visiting www.seniorlivingguide.com and clicking on the links to the right OR by signing up for membership and receiving automatic notifications of new issues! We hope our readers find the information within SeniorStyle to be entertaining, doctor insightful and resourceful! Comments Off on SeniorStyle 2009 is out!